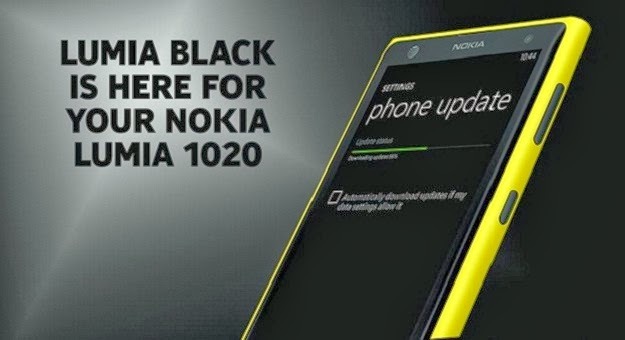 The long awaited Nokia Lumia Black update is now live and will be rolled out to Lumia devices worldwide. First recepients of the Black update are Lumia 1020 and Lumia 925. The Finnish company will seed the update to more Lumia devices starting next week. So what's in the box? The Lumia Black update will bring organization of apps into folders, Glance screen, enhanced Bluetooth 4.0 support, etc. One well received feature that will be added is the Nokia Beamer allows users to share documents and multimedia content to any HTML5-capable device. And of course, devices should have at least 1GB of RAM to enjoy this feature. The latest update also tweaks the high-end photo capturing capability of the Lumia range with Nokia Camera. Imaging algorithms will also be enhanced with this update - an relevant upgrade to devices' image quality. Hopefully, it'll hit our shores sooner than we think. In the meantime, check out the video below.